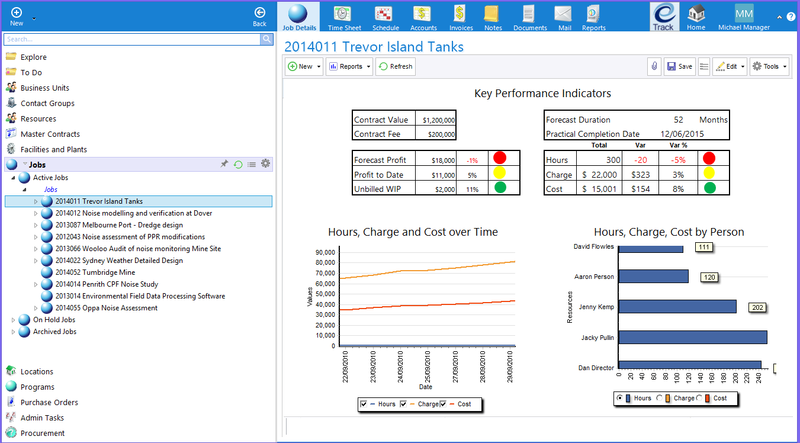 The eTrack all-in-one Job Management System is specifically designed for Engineers and has all the features of a ‘mini ERP’ system. It includes detailed planning screens, one click document proposals and supports all the complexities of a modern growing company, yet is beautifully easy to use. Install locally or use in the cloud and interface with you finance package. No costly deployment fees that use your valuable time – our goal is to be totally intuitive. Send and receive Emails, edit and track Documents and store in your existing File system. 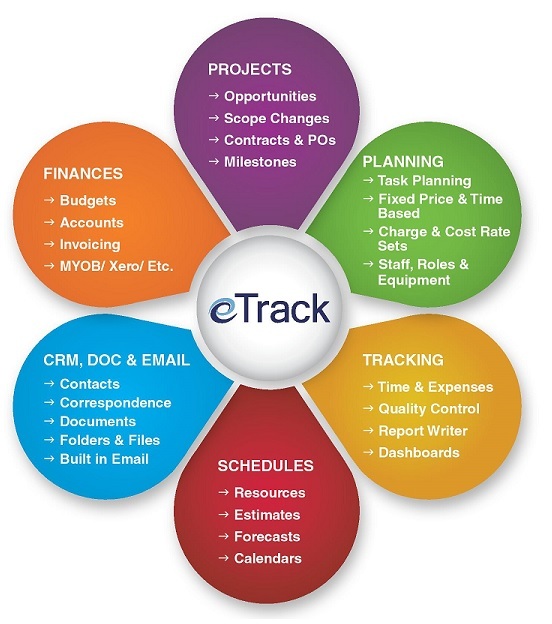 eTrack has a modern clean, intuitive user interface with fast navigation and many dashboards. You can be up and running quickly with a fully configured out-of-the-box Engineering configuration, and then easily tailor it specifically to your terminology and business structure.